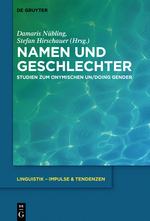 Namen und Geschlechter: Studien zum onymischen Un/doing Gender [Names and Genders: Studies on the Onymic Doing and Undoing of Gender], ed. Damaris Nübling and Stefan Hirschauer, University of Mainz, Germany. This volume will be published by De Gruyter in March 2018. Personal names are a critical factor in establishing the division into two genders. 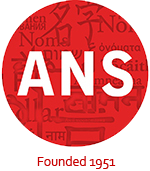 The essays in this volume examine the gender impact of personal names from linguistic-onomastic, sociological, and historical viewpoints. They investigate, among others, informal names in close relationships, the naming of the unborn, renaming transsexuals, and German, Dutch, and Swedish unisex names. The language of the volume is German. It will be available in hardback and ebook format.